Welcome back to Calendar Tuesday, which only happens once a month, on the first Tuesday. 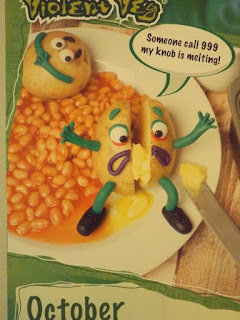 Someone call 999 my knob is melting! 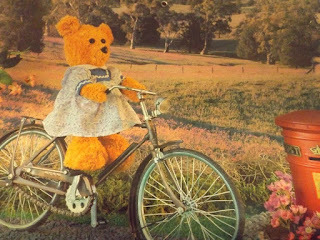 Even Teddies enjoy riding in the park. 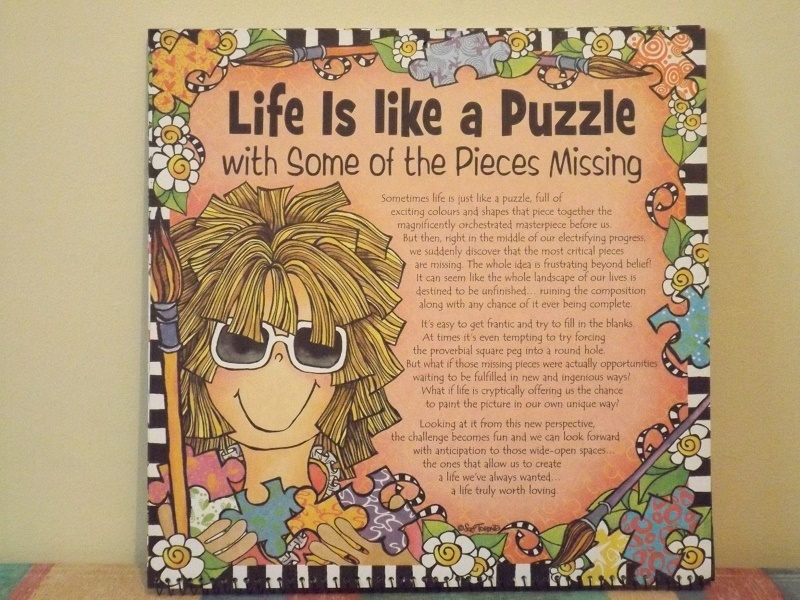 Life is like a Puzzle with some of the pieces missing. Sometimes life is just like a puzzle, full of exciting colours and shapes that piece together the magnificently orchestrated masterpiece before us. But then, right in the middle of our electrifying progress, we suddenly discover that the most critical pieces are missing. The whole idea is frustrating beyond belief! It can seem like the whole landscape of our lives is destined to be unfinished...ruining the composition along with any chance of it ever being complete. It's easy to get frantic and try to fill in the blanks. At times it's even tempting to try forcing the proverbial square peg into a round hole. But what if those missing pieces were actually opportunities waiting to be fulfilled in new and ingenious ways? What if life is cryptically offering us the chance to paint the picture in our own unique way? 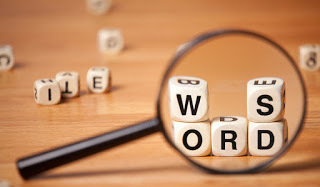 Looking at it from this new perspective, the challenge becomes fun and we can look forward with anticipation to those wide-open spaces...the ones that allow us to create a life we've always wanted...a life truly worth loving. fishducky; they'll be back next year. I'm still searching for the new Violent Veg though, hope it gets to the shops soon. Andrew; odd things do happen in the heat of the moment. 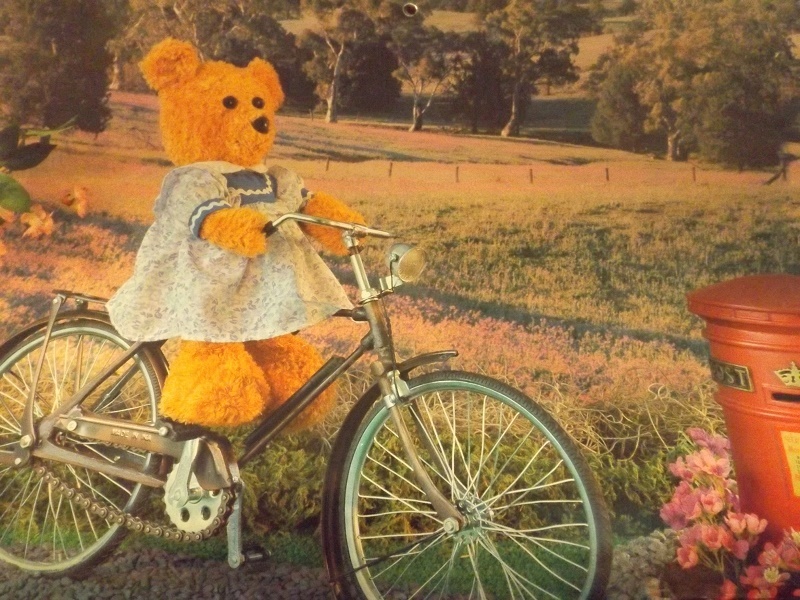 Poor Teddy's legs are too short for that bike. She is going to have a hard time getting anywhere. Elephant's Child; perhaps her friend holding the camera is helping out. I think Mr. 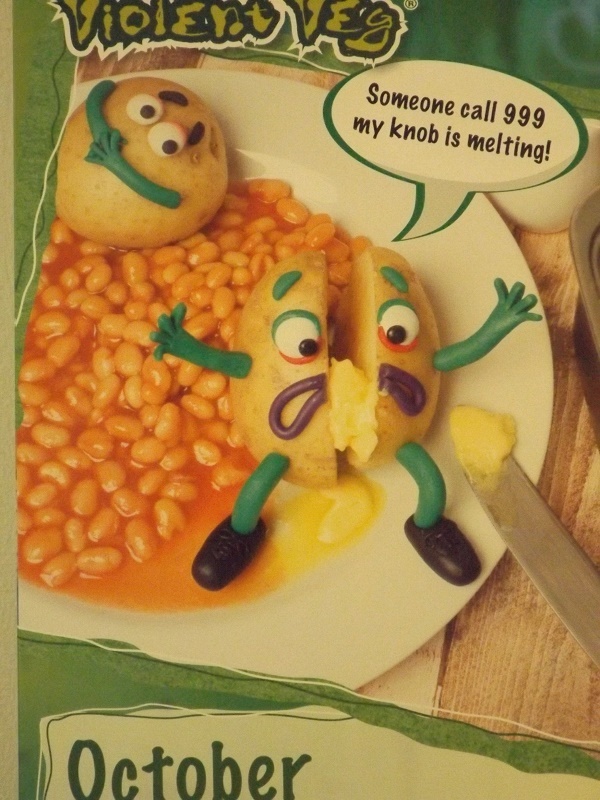 Potato has a bigger problem than his melting knob! Val; yes. Any minute now he's going to be stabbed with a fork and slice with a knife. And eaten! Oh the horror! Arkansas Patti; I think Teddy has help close by, whoever is taking her picture there probably has longer legs. Humans sure are a puzzle! I will never work them out. Their behaviour I will never understand! 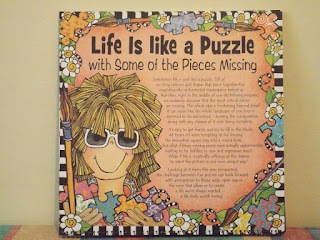 Lee; Life itself is as puzzling as humans, nobody will ever be able to work out either one because things keep changing. I haven't had beans on toast in a long while, there aren't even any beans in my cupboard. I will never work them out. Their behaviour I will never understand!